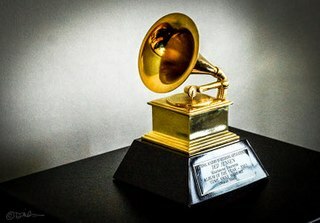 The Grammy Award for Best Classical Instrumental Solo was first awarded during the annual Grammy Awards ceremony in 2012. It combines the previous categories for Best Instrumental Soloist(s) Performance (with orchestra) and Best Instrumental Soloist Performance (without orchestra). The Grammy Award for Best Instrumental Soloist(s) Performance was awarded from 1959 to 2011. From 1967 to 1971 and in 1987 the award was combined with the award for Best Instrumental Soloist Performance and awarded as the Grammy Award for Best Classical Performance - Instrumental Soloist or Soloists. The Grammy Award for Best Instrumental Soloist Performance was awarded from 1959 to 2011. From 1967 to 1971 and in 1987 the award was combined with the award for Best Instrumental Soloist(s) Performance and awarded as the Grammy Award for Best Classical Performance - Instrumental Soloist or Soloists. The Grammy is awarded to the instrumental soloist(s) and to the conductor when applicable. Ursula Oppens (soloist) for Rzewski: The People United Will Never Be Defeated! The Grammy Award for Best Large Jazz Ensemble Album has been presented since 1961. From 1962 to 1971 and 1979 to 1991 the award title specified instrumental performances. Years reflect the year in which the Grammy Awards were presented, for works released in the previous year. The Grammy Award for Best Regional Roots Music Album is an award presented at the Grammy Awards, a ceremony that was established in 1958 as the Gramophone Awards, to recording artists for releasing albums in the regionally based traditional American music, including Hawaiian, Native American, polka, zydeco and Cajun music genres. Honors in several categories are presented at the ceremony annually by the National Academy of Recording Arts and Sciences of the United States to "honor artistic achievement, technical proficiency and overall excellence in the recording industry, without regard to album sales or chart position". The Grammy Award for Best Country Solo Performance is an award presented at the Grammy Awards, a ceremony that was established in 1958 and originally called the Gramophone Awards. According to the 54th Grammy Awards description guide it is designed for solo country recordings and is limited to singles or tracks only. The Grammy Award for Best Country Duo/Group Performance is an award presented at the Grammy Awards, a ceremony that was established in 1958 and originally called the Gramophone Awards. It was first awarded in 2012, after a major overhaul of Grammy Award categories. The award combines the previous categories for Best Country Performance by a Duo or Group with Vocal, Best Country Collaboration with Vocals and Best Country Instrumental Performance. The restructuring of these categories was a result of the Recording Academy's wish to decrease the list of categories and awards. The Grammy Award for Best Classical Compendium is an honor presented at the Grammy Awards, a ceremony that was established in 1958 and originally called the Gramophone Awards, to recording artists for quality compendium albums in the classical music genre. Honors in several categories are presented at the ceremony annually by the National Academy of Recording Arts and Sciences of the United States to "honor artistic achievement, technical proficiency and overall excellence in the recording industry, without regard to album sales or chart position". ↑ "Grammy Awards 2012: Complete Winners And Nominees List". The Hollywood Reporter. Retrieved May 5, 2017. ↑ "Grammys 2013: Winners List". Billboard. Retrieved May 5, 2017. ↑ "56th GRAMMY Awards: Full Winners List". Billboard. Retrieved May 5, 2017. ↑ "Grammys 2015: And the Winners Are ..." Billboard. Retrieved May 5, 2017. ↑ "Grammy Awards 2016: See the Full Winners List". Billboard. Retrieved May 5, 2017. ↑ "59th Annual GRAMMY Awards Winners & Nominees". GRAMMY.com. Retrieved April 27, 2017.